Bundling, Unbundling or Itemizing – What is the answer? As mentioned in a previous post, the debate over bundling versus unbundling in hearing aid pricing rages on. 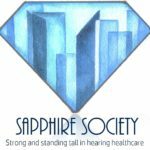 Although the unbundled method of pricing is seen in only a minority of practices, the issue has come front and center because the cost of hearing healthcare is seen as being too expensive, even by our government. The most common method of pricing currently is in a “bundled” or “packaged” format, where fees for the hearing aids and those services associated with choosing, fitting, adjusting and servicing the hearing aids are billed in a single charge.